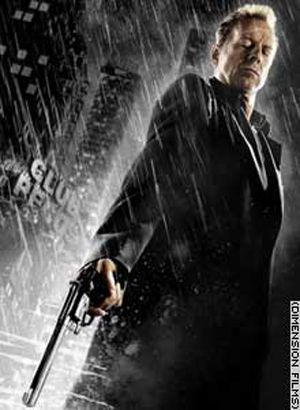 Sin City's currently US No.1 Box Office - my film geek mate Rohne (who devours flix like I do music) agrees it's one of the best comic-book to celluloid transfers, surpassing other Frank Miller works adapted by Hollywood e.g. 'Daredevil', Tim Burton's 'Batman' & 'Batman Returns' plus 'Robocop 2' & 'Robocop 3'. There's a strong Tarantino link not just because QT directed bits but the film has that 'Pulp Fiction' feel - the circular plot & characters re-appearing in past times. 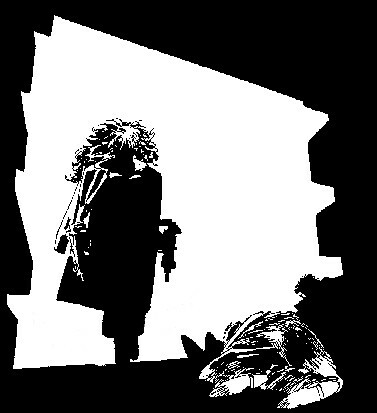 Miller says he & QT are separated at birth - neither knowing each other's work until Rodriguez hooked them up, so when they met, "It was merrderr!" Keeping on the Super Hero tip, Bryan Singer's video blog (like Peter Jackson's King-Kong video diary) runs in tandem to up-and-coming 'Superman Returns'. - a geeked database for loads of lesser-known global superheroes, like Mach Zero from 2000AD strip, Israel's Moshe Muklabi aka 'Haayal' or Filipino 'Zarbot'. 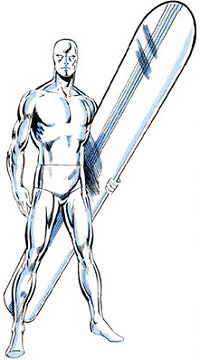 Can someone hurry up & bring on the film version excursion of the Silver Surfer!?!!! Finally, he certainly was a Super Hero to many and in his own right, the late great Pope John Paul II. Props for trying on Bono's sunglasses in exchange for rosary beads (instead of Record & Tape Exchange vouchers!) and having breakdancers get fresh at the Vatican. 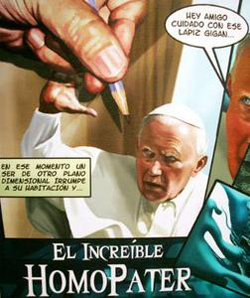 This 'HomoPater' picture is from a comic featuring the late Pope John Paul II by Colombian artist Rodolfo Leon Valencia shown in Bogota, Colombia, April 4, 2005. Valencia has produced a comic book story about the late Pope John Paul II, showing him as a superhero who fights evil. YUSH!!! !